Today is election day --for School Board members. And, it's the only time you can vote on a government budget. NYS law only authorizes votes for school budgets. Contact your school district for times and polling places. Be a partner in the process. 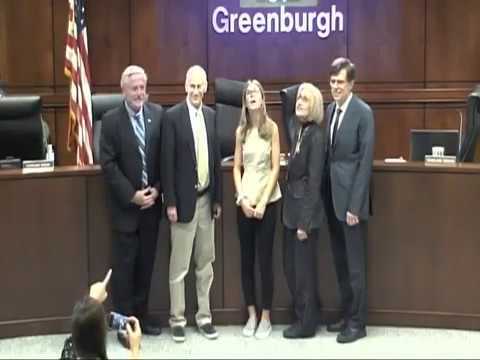 Watch video below of Dobbs Ferry High School student Jamie Kramer's presentation to the Greenburgh Town Board. The Ravens added another undrafted rookie to the squad Monday morning, signing Massachusetts defensive end Da’Sean Downey. Downey was named to the first-team Eastern College Athletic Conference squad after becoming a full-time starter as a senior. He logged 58 tackles, including 20 tackles for loss and six sacks. That was the second-most tackles for loss in program history. The 6-foot-4, 225-pound New York native spent time learning from Green Bay Packers linebacker Ahmad Brooks leading up to the NFL Draft. He has good athletic, hybrid traits and length. He projects as a developmental edge rusher. The programs at the Theodore Young Community Center - our football program and specifically, Coaches and father figures, Steve Baiz, Benjamin Carter, Frankie Williams, Boston Keith, Thomas Newkirk, and Willie Lee helped groom Da’Sean and introduced him to the sport at such a young age. This is what the Theodore Young Community Center is all about-- preparing our youth for greatness! The center has made a positive difference in the lives of many people. The UMass defensive end was a first-team Eastern College Athletic Conference standout as a senior after he notched six sacks and 20 tackles for loss. Presentation by Jamie Kramer Town Board Meeting May 9, 2018 Town of Greenburgh. 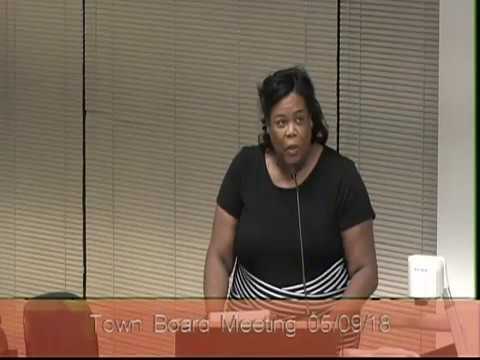 Presentation by Professor Pauline Mosely at the Town Board Meeting May 9, 2018 Town of Greenburgh.